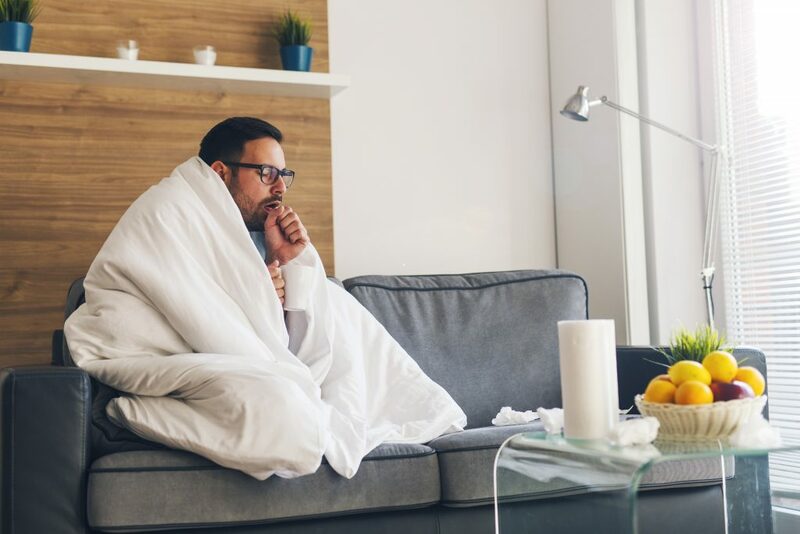 When you think of preventing cold and flu, you probably first think “flu shot.” However, there is a lot you can do to fight the spread of germs in your home. Home air quality can significantly impact your health—studies show Americans spend up to 90 percent of their time indoors, including time at home spent sleeping, getting ready for work, or relaxing. The air inside your home can even have more pollutants than air outside if you factor in pet dander, dust, bacteria, and viruses that linger in the air and rest on surfaces. These tiny foes also dry out our skin and sinuses. You shouldn’t underestimate the impact your home’s indoor air has on your health. Air purifiers continuously filter out pollutants, allergens, and other pathogens so you can breathe in cleaner, healthier air. There are different models with different efficiency ratings to best suit your health and budgetary concerns. There’s a normal condensation process that takes place during the cooling process, and with it comes the potential for mold and bacteria to grow on your air conditioning coils. A UV germicidal light can kill mold and bacteria by breaking down its DNA. This is the same technology that’s been used for over 60 years to kill microorganisms in hospital ORs, water treatment, and food processing. UV light can also reduce the risk of allergic reactions and illnesses, as well as eliminate the bad odors associated with mold and bacteria growth. Having your ducts inspected and cleaned regularly can ensure proper system operation and greater indoor comfort. It can also clean out the dirt and possible mold build up that may occur inside your ducts, getting circulated in your home through the air flow. A build-up of mold, mildew, dirt, and other pollutants on your heating and cooling equipment not only has an effect on your health, but also the efficiency of your system. To help prevent pollutants from thriving in your home, contact a trusted local company like Lindstrom Air to evaluate your situation and discuss options for improving the quality and efficiency of your home’s interior air.